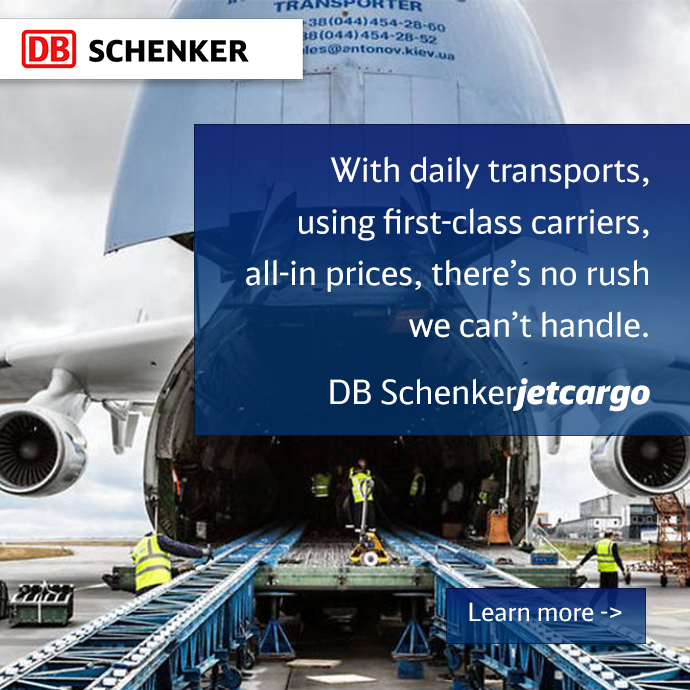 A confluence of political and economic forces has prompted Europe’s largest airplane manufacturer to place a factory in Alabama — and to create one of the world’s most gargantuan supply chains. The ships from Hamburg steam into Mobile Bay several times a month. Loaded upon them are the titanic parts of flying machines: tails, already painted; wings, already functional; the fuselage, in two segments, front and rear. The pieces are set on flatbed trucks and escorted by police cars to a decommissioned Air Force base, Brookley Field, about four miles from the harbor. 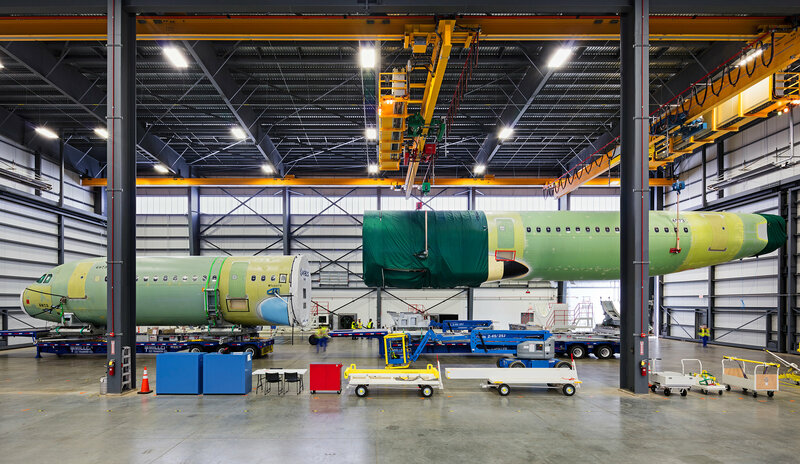 There, between the runways, the European aerospace company Airbus has built a $600 million factory to assemble airplanes in the United States. It’s an odd arrangement for many reasons, not least among them being the fact that Airbus could assemble its planes almost anywhere. The finished product is easy to move (it flies), and the hardest work of making it is buried in its components. The vertical stabilizer is made in Getafe, Spain. The wings come from Broughton, Wales. The front of the fuselage is made in Saint-Nazaire, France; the back, in Hamburg. What happens in Mobile doesn’t resemble manufacturing so much as the assembly of a particularly large and tremendously complicated piece of Ikea furniture. Here, the American workers attach the pieces of the airplane using tools and connectors, many of which are also imported from Europe. Many of the supervisors come from the continent, too; the Mobile factory manager was raised about 10 miles from the wing plant in Wales. And the company says that it saves no money by building planes in Mobile. But Airbus has contorted its supply chain to end at an old military base in southern Alabama precisely because it can now build airplanes anywhere. In this it resembles many of the world’s largest manufacturers, which now tend to be global operations that pull together components from hundreds of factories in dozens of countries to create products sold around the world. And many of those companies, including Airbus, see advantages in completing the process in the markets where those products are sold. It was politics, as much if not more than economics, that brought Airbus to Mobile. Airbus executives realized years ago that the company could benefit from capturing a larger share of America’s immense military budget. And so it embarked on a strategy of investing in the South, a part of the United States that, historically, hosted only the military half of the military-industrial complex. In 2004 the company opened a helicopter factory in Columbus, Miss. In 2005, it won a Coast Guard contract to supply 36 maritime patrol aircraft; the planes were built in Spain, but Airbus opened a maintenance and repair facility in Mobile. Then, in 2008, Airbus and Northrop Grumman were awarded one of the largest defense contracts in history: a $35 billion deal to build 179 refueling tankers for the Air Force, which Airbus promised to assemble in Mobile. This small Alabama city had been trying to land an airplane factory for more than 30 years. In 1993, officials thought they had a deal with McDonnell Douglas to build airplanes at Brookley Field. Five years later, in 1998, a deal with an Indonesian airplane manufacturer seemed so sure that the city renamed a street Gatotkoco Drive after a mythical Indonesian warrior. Five years after that, Mobile made the shortlist for a Boeing factory. Each time, the city was left at the altar. Airbus’s Air Force contract seemed to suggest Mobile’s search was over. Not quite: Boeing snatched away the deal by persuading the government to reopen the bidding under a new set of rules. Airbus concluded that its American roots needed to be deeper still, and it announced in 2012 that it would begin assembling passenger airplanes in Mobile. Similar courtship rituals have brought a bevy of other manufacturers to Alabama in recent decades. Next door to the Airbus factory is an airplane repair center, owned by the government of Singapore, that employs 1,300. Across the harbor is an Australian shipbuilder that employs more than 4,000. About 35 miles upriver is a giant steel plant jointly owned by companies based in Luxembourg and Japan. 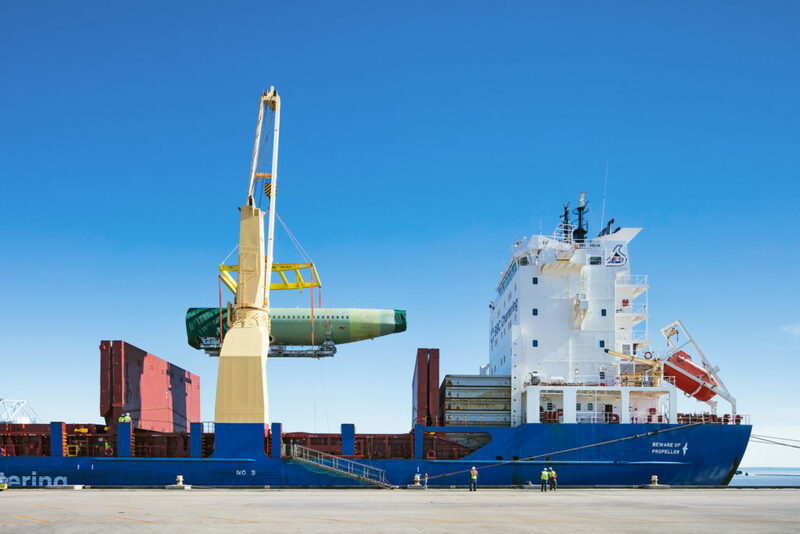 And through Mobile harbor moves a steady flow of containers packed with auto parts for a Mercedes-Benz plant in Vance; a Honda factory in Lincoln; and a new Hyundai factory in Montgomery. Together, those three foreign automakers employ another 11,000 Alabama residents. Alabama has paid handsomely for its factories. The state’s industrial revolution began in 1993 when a new governor, Jim Folsom, outbid other states for the Mercedes-Benz plant. (To land the deal, Folsom also agreed to remove a Confederate battle flag from the state capitol.) Airbus, the most recent arrival, got $158.5 million in state and local benefits, including a school at Brookley where the state trains potential Airbus employees at public expense. Of the 915 workers to be enrolled in the program, Airbus has hired 231. Many of the new employees had experience working on airplanes, either in the military or in the private sector. But they still underwent long months of training, often including stints at other Airbus factories. Megan Large was working behind the check-in counter at the Mobile Regional Airport when she landed a job at Airbus. She spent a month in Hamburg and another month at the Airbus factory in Tianjin, China, before starting a job on the team that unpacks parts and moves planes around the factory floor. It helps that in Alabama, labor is cheap. Airbus set a goal that building planes in the United States would not cost a penny more than building in Europe. 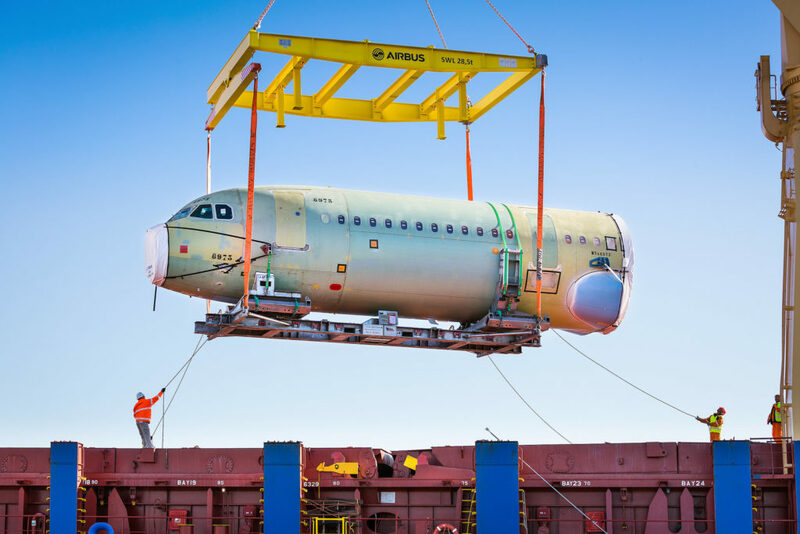 It is expensive to ship parts from Hamburg, but because the Mobile workers are not unionized, Airbus can hire fewer of them and pay them lower wages. 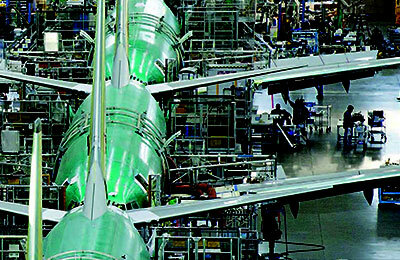 According to The Seattle Times, the starting rate at the Airbus plant, about $16.50 per hour, is comparable to the starting wages at Boeing’s passenger-plane plant in Renton, Wash. But the Airbus pay scale tops out at $23 an hour, while experienced Boeing workers can earn $45. That could change in years to come, but for now, organized labor has yet to gain a foothold. The International Association of Machinists and Aerospace Workers, which represents Boeing’s workers in Renton, still rents a billboard outside the Airbus plant, but that’s about it. The decline of American manufacturing has left a large pool of experienced workers who are eager to find new jobs and are more grateful than their European counterparts. “It baffles our European colleagues to see employees so proud of what they’re doing — and so excited,” said Allan McArtor, chairman of Airbus Americas.